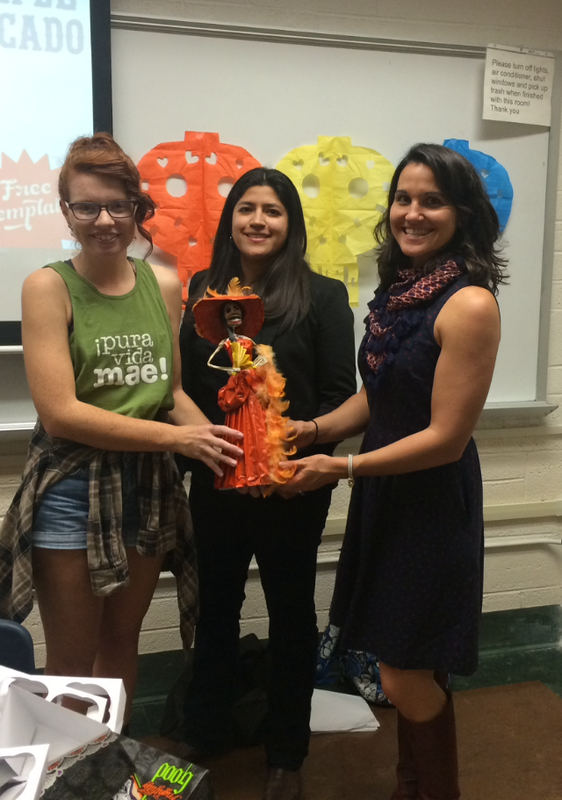 The Spanish Club at the Department of Modern Languages at Kansas State University is an organization that offers Spanish minors and majors the opportunity to speak Spanish, meet other students, and get to know more about Hispanic culture. To achieve these goals, last semester the Spanish Club held a variety of activities, beginning with a session presenting different options to study Spanish abroad through K-State. The Spanish club also hosted a Spanish Movie night, an informative gathering on the cultural, historical and religious reasoning behind El día de los Muertos (i.e., The day of the Dead)—in which attendees had the opportunity to create arts and crafts and eat food typical of this Mexican holiday—and a relaxing fiesta preceding the end of the semester. For the 2015-2016 academic year, Dr. Rebecca Bender and Dr. Laura Valentín have served as the advisers for Spanish Club, while Chelsea Moore, a pre-med Spanish major, has served as president since fall 2015. For the spring semester, the Spanish Club officers and advisers plan to host an information session on summer volunteer opportunities in Latin American. To celebrate the end of the academic year, the Spanish club will host a Fiesta de Cinco de Mayo where they will discuss the historical context of the date and its implications in American culture.